`Louis Philippe' is very much like `Cramoisi Superieur' in that the flowers are both dark crimson with an occasional white streak on one of the petals. 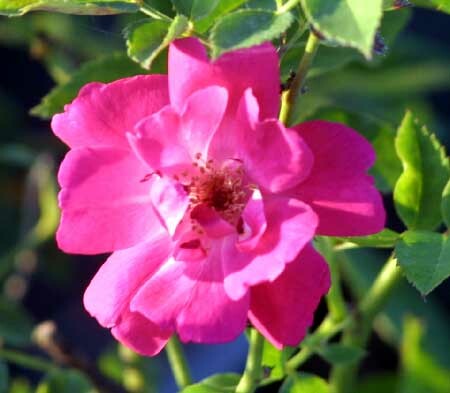 It blooms throughout the year in our climate, getting about 3-4' tall. 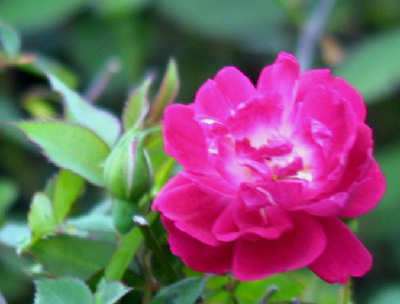 This rose is the perfect choice for a colorful hedge. Bred in Angers, France in 1834 by Modeste Guerin.